She’s one of Australia’s most beloved stars and Patti Newton has shown fans once again that she knows a thing or two about fashion. 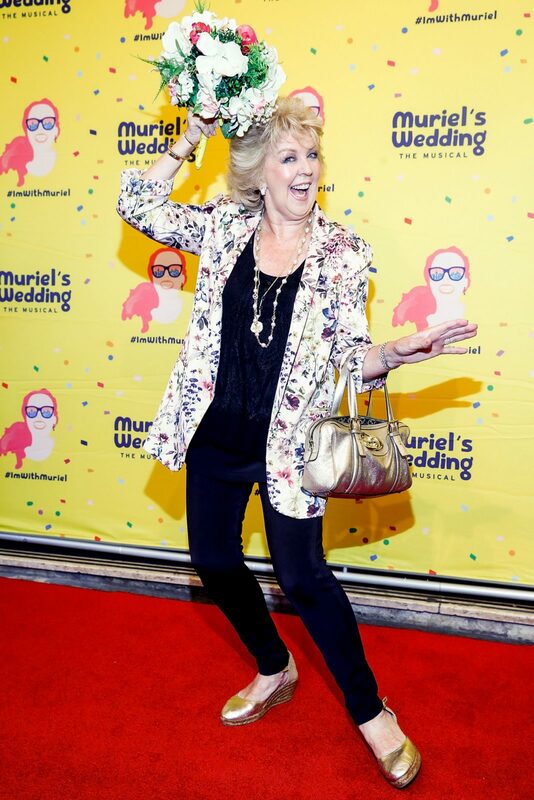 The wife of Bert Newton was one of the very special guests at the opening night of the Muriel’s Wedding musical at Her Majesty’s Theatre in Melbourne. Based on the 1994 film of the same name, Muriel’s Wedding tells the story of Muriel – who is planning her dream wedding complete with the dress and church. The only thing Muriel is missing is a man to marry her. Taking to the red carpet before the screening on Saturday evening, proud grandmother Patti worked the camera and showed off her incredible style – proving that getting older doesn’t have to get in the way of dressing up and feeling good about yourself. The 74-year-old opted for a white shirt complete with a gorgeous floral pattern. While walking the red carpet, the former Dancing with the Stars contestant cheekily posed with a bouquet of flowers. Patti glammed up her outfit with an array of accessories that really took her look to a new level. These included a pair of golden shoes and matching gold handbag and bracelets, a chunky necklace and a pair of sparkly earrings. She wore her gorgeous blonde locks in her trademark style. It’s not the only trendy look Patti has pulled off in recent times. Last month she attended the premiere of Harry Potter and the Cursed Child at the Princess Theatre in Melbourne. 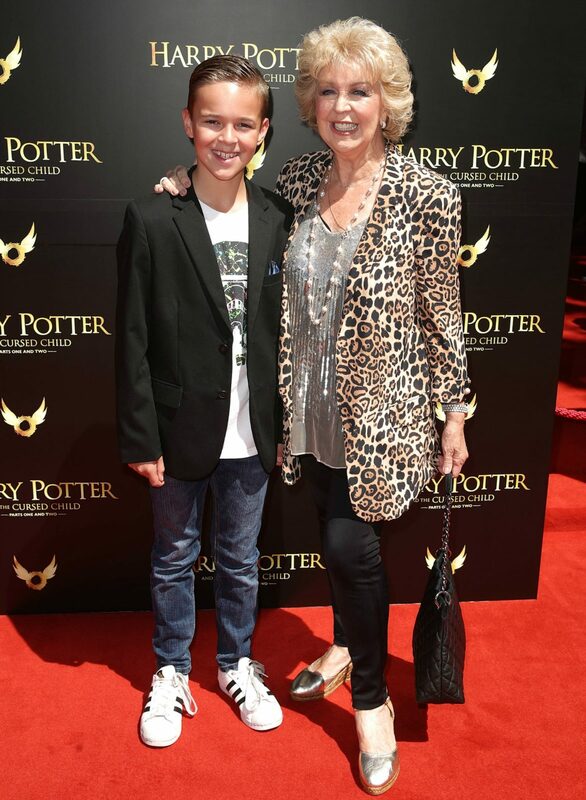 With grandson Sam by her side, Patti added a touch of magic to the red carpet with a sparkly silver top and leopard print coat, a smart pair of black trousers and a lovely pair of silver shoes. Similar to her most recent look, Patti accessorised with a black handbag to match her trousers and her chunky necklace to add some more sparkle to the outfit. When she’s not busy attending star-studded red carpet events, Patti is busy being a grandmother. Earlier this month, the former Celebrity Apprentice Australia star shared a sweet moment with her newest granddaughter. In a photograph shared to Instagram, Patti could be seen having a cuddle with little Perla Dolly. The star beamed with delight as she held the baby, while older granddaughter Lola was also spotted sharing the sweet moment with her grandmother. Are you a fan of Patti Newton’s style? When was the last time you went to the theatre?